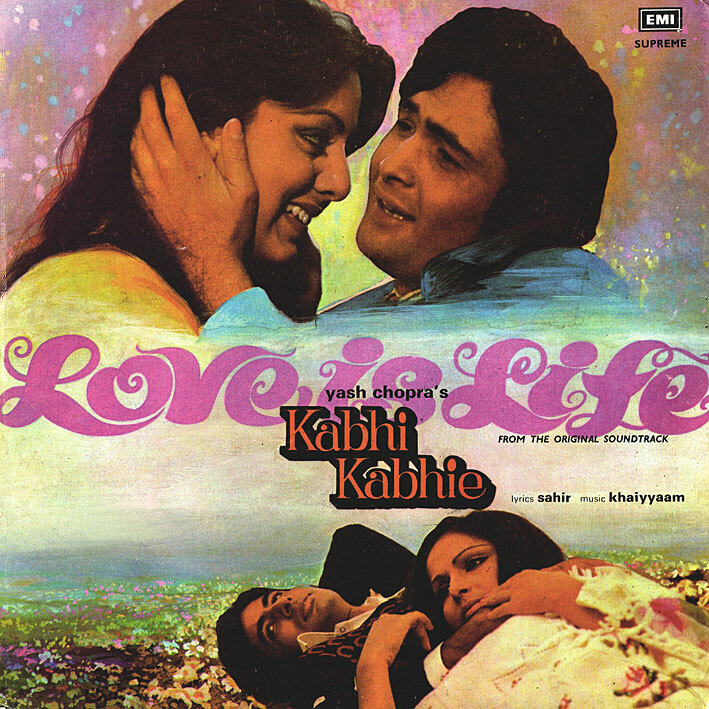 Getting back to regular posts though, here's 'Kabhi Kabhie' - a massively popular soundtrack from a most successful film. Hauntingly beautiful songs, exquisite arrangements, soulful lyrics, one of music director Khaiyyaam's finest achievements, a Bollywood masterpiece! Or so everyone seems to be saying. Me on the other hand (seldom willing to concede to popular opinion), I find this album very dull! Now I obviously can't comment on the lyrics or any poetry contained within - or how much of a selling point they might be - but come on, isn't the music on this just really bland? Yeah, maybe you can objectively describe the title track and a couple of others as pretty, sort of... but only in an overtly sentimental, saccharine and sleep inducing way though... no? Tell me, what am I missing here? Why is this a classic? Thanks for the latest offering.. Yes its one of the most popular work by khaiyyaam.I really disagree with you regarding this album it really is a classic.I think you really do need to understand Sahir Ludhianvi's, poetry to really appreciate the album. The quality of the sound is amazing.How did you manage to keep it away from the scratches that spoil a record. Yeah, from googling I realized there's a poetic work at the root of Kabhi Kabhie, and suspected that some knowledge of this helps in appreciating the soundtrack. Still, I can't get my head around the music on it... but I'm glad you like it, I hope others do too. I'm sitting on the edge of my chair waiting for you to post that very great recording of "Loafer". Please rip it high. It is very out of print & will never be reissued, since they did a remake of the film. Please leave a comment on my site next to any of those you know for the benefit of others. I posted those for YOU! This is a classic... i think the melodies are just awesome, the arrangements.. everything about it really. I was rather surprised you didnt see it as being that great. "J Thyme...kind", i have Loafer, if i get a chance i will record it.